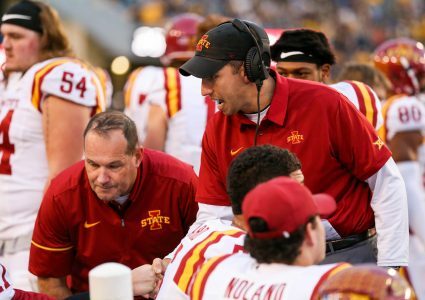 AMES — ISU football coach Matt Campbell conducted a wholesale reappraisal of his burgeoning program last month, digging deep into the fundamentals — and seeking ways to take yet more steps forward. Back-to-back 8-5 seasons — and a first-ever six-win conference season in 2018 — didn’t remotely lead to resting on any perceived laurels. It demanded a deeper commitment to growth and a next-level approach designed to ascend to greater heights in 2019 and beyond. 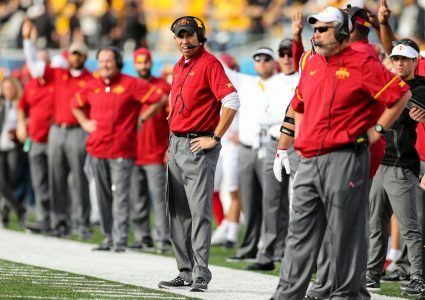 “We spent a lot of time, to be honest with you, in January, taking maybe the deepest dive we’ve ever had in this football program and where we’re going and what we’re doing, which has been really fun to do, to be honest,” Campbell told Cyclone Fanatic earlier this week. And an unexpected event augmented that “fun” process: the return of offensive coordinator Tom Manning after a successful one-year stint coaching the Indianapolis Colts’ tight ends. Manning helped steadily rebuild ISU’s offense in 2016 and 2017, upping average scoring output to 27.7 points per game in his first season (ninth best in program history) and 29.2 points in 2017 (third best). 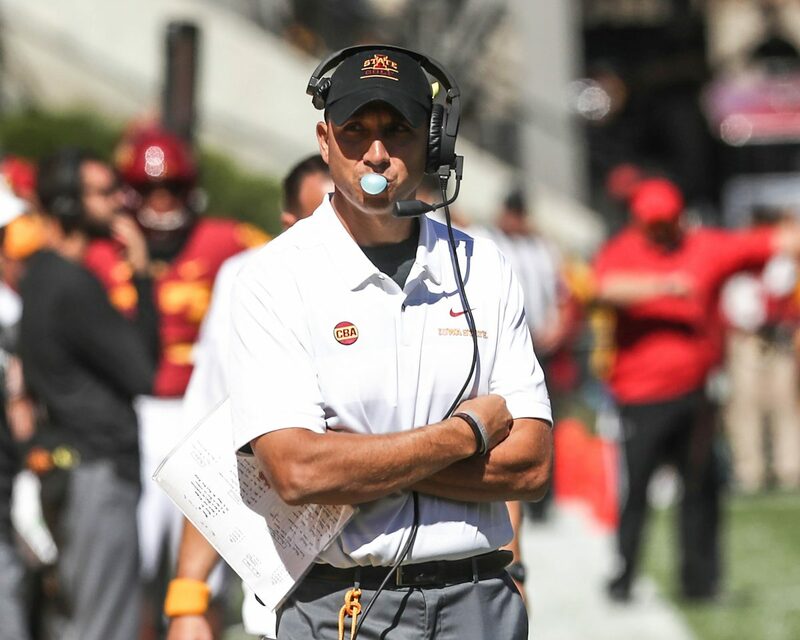 He told Voice of the Cyclones John Walters on a recent CyCast that he gained a wealth of additional knowledge as an NFL assistant and will use that to augment his ability to lead the Cyclones’ offense. But why come back after helping the Colts — who won nine of their last 10 regular season games — return to the playoffs for the first time since 2014? “At the end of the day, I just felt that this is really where I’m supposed to be,” Manning said on the CyCast. Campbell agrees, even if his reunion with Manning came as a bit of a surprise. 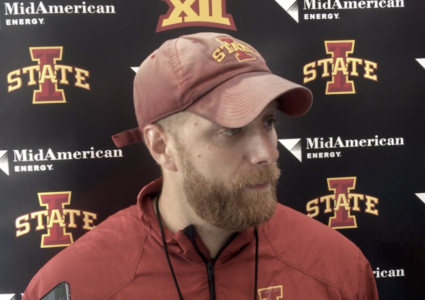 The longtime friends will try to keep ISU’s Brock Purdy-led offense on an uptick despite losing standout running back David Montgomery and star receiver Hakeem Butler, who are NFL Combine invitees. And rest assured they’re fully engaged in another offseason “deep dive” to ensure the returning talent turns on-paper and in-real-time potential into more positive results.